Since I started leading a weekly meditation group a few months ago, I’ve chatted with lots of folks about meditation–both those who are interested (but don’t attend) as well as those who do (but don’t meditate on their own). 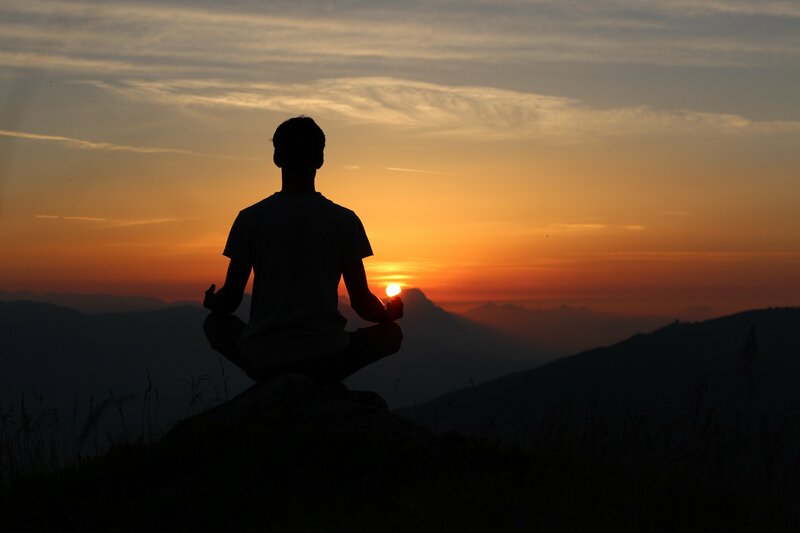 Throughout those conversations, I’ve discovered that people are aware of meditation’s numerous health benefits, and seem to truly believe that meditation would help them better navigate their lives. So why aren’t they able to create a regular meditation practice? Below, I describe 7 common challenges and provide advice about how to overcome each of them. .”There are countless resources online and in bookstores about meditation these days, which can be overwhelming when you’re just starting out. My advice? Don’t get paralyzed by all the choices, just try one and see how it goes. If it works for you, awesome. If it doesn’t, move on to another one. Ask friends or colleagues who meditate regularly what they use or do. Some resources I’ve found particularly useful include: Meditation Made Possible (CD or MP3 download), Opening the Heart meditation (recording and transcript), Guided Meditations for Love and Wisdom (CD and audio download), Guided Mindfulness Meditation (CD), and Simply Being (iPhone/iPad app). I used to believe this myself, and there are two ways I overcame this barrier.First, let go of the idea that you have to spend a lot of time meditating (10-15 minutes is sufficient). It’s more important to meditate consistently for short periods of time than it is to do it for sporadic but long periods of time. Why? Because what you’re really trying to do is create a new habit. Dr. Lally’s research about habits and weight loss showed that behaviors are established after 66 consecutive instances, and that skipping days actually decreases the likelihood of the habit forming. Second, incorporate meditation into your existing morning routine. Adding the new habit next to habits you already have will not only help your brain establish more connections to the new activity, but the regularity of being in your home, before you get busy with the day’s events, will help you explore meditation safely and trigger you to meditate more often than if you were to leave the time and place to chance. Just think, all you might need to do is wake up 10 minutes earlier, and walk to your favorite chair! The key here is to understand and accept the fact that “good” and “bad” are just judgments the mind makes. A meditation is never good or bad–it just is. Again, what’s important is that you just do it. If you need to track something about meditation to measure “success”, track the days you do it vs. the days you don’t, regardless of how you think it went.Also, it’s critical that as a beginner meditator you have an object of focus–something you can concentrate on and bring your attention back to whenever your mind goes elsewhere. That point of focus can be the breath (that you notice without judgment, or count inhalations and exhalations of), a phrase or affirmation (mantra) you repeat to yourself, or music that you can really listen to with your full attention. Many of the resources I’ve listed under barrier #1 above use these objects to help meditators concentrate. I think this is is a fantastic barrier, because it highlights other potential health concerns we need to be aware of and address.If you frequently fall asleep during meditation, it can mean that you aren’t getting enough sleep at night (which according to the restorative theory of sleep, is critical time for our minds and bodies to recover from the emotional and physical stresses we put on them during the day). Our bodies know how much sleep they need, but we don’t often pay attention, and we often override that internal wisdom. Again, letting to of what meditation is “supposed to” make you feel is a part of this, but there’s much more. Many people, including myself, like to stay busy. We distract ourselves with socializing, technology, work, hobbies, etc. Unfortunately, this is often because there’s something in our pasts that we are trying to run away from, or something in our present that we don’t want to feel. Slowing down makes space for fears, emotions, and uncomfortable feelings to emerge, and then we have a choice: do we panic and shut them back out, or do we face them head on? A technique I learned in my Kripalu Yoga training, “Breathe, Relax, Feel, Watch, and Allow“, has been very helpful. If you view yourself as a compassionate observer and can stay with the discomfort for just a few moments, you’ll notice that it eventually dissolves. The more you do this, the stronger you’ll get, and you’ll find it easier to stay with your difficult feelings the next time they arise. However, be patient with yourself too–it’s OK to sit with the emotion only as long as you can–the trick is to go a bit further than you’re comfortable with each time, strengthening yourself little by little. Personally, the most I can ever muster for seated meditation is a half lotus, and only with great effort. (One of my hips is really open, the other really tight.) And, if you think you need to be in lotus or even half lotus position to meditate, this is an unnecessary restraint you’re putting on yourself. Easy pose (sukhasana) and Diamond pose are two other common, and easier seated poses that are great for meditation. If you still find discomfort in these seated postures, try raising your hips higher than your knees using several cushions or blankets. I have found that both positions, especially easy pose, are much more comfortable for me the higher I am off the ground. If these don’t work for you, try Well-being pose. If all else fails, you can sit in a chair to meditate! Just sit on the edge, ensuring that your spine is straight and elongated, rather than slouching against the back. If you have trouble sitting not because of physical limitations but because of your mental activity, try making walking the focus of your meditation instead. You can find more information and instructions for walking meditation in this article. The Guided Meditations for Love and Wisdom CD I reference above also has a nice walking meditation. This may be an issue of insufficient preparation. Every client I work with receives a customized movement & breathing practice. The movement helps to release tension from the body, and the breathing helps focus the mind. Honestly, these steps are often skipped, and unless we are very adept and practiced, when we try to sit without doing them first we will not feel as capable. Also, if you’re interested in meditation, you likely have some other goal in mind: for example, reducing stress. If the meditation is not adequately connected to how you’d like to feel (i.e. your goal), it will be more difficult to stay with it. If you’re interested in meditation and want to discuss your goals with me, schedule a complimentary consultation. I’d love to see if I can help! No slouching, comfortable, dignified – I understand it. But why does a particular style of sitting position matter? – if any. Are there any advantages/meaning/importance associated with different sittings positions? Advance thanks for your answers. First, an elongated spine during meditation enables diaphragmatic breathing. Whether the object of focus during meditation is the breath or not, the breath will likely soften, activating the parasympathetic nervous system (relaxation response). Sitting upright helps that happen more easily. Second, most of the seated postures attempt to align the physical body (i.e. stack the bones) in a way that provides a steady and comfortable, foundational base. That way, we are not as distracted by our physical bodies when we are trying to train the mind. Of course, with our culture of chair sitting, poor posture, and tight hips, many of these postures are not as accessible to us today, and so we need to modify.